The images above use daily precipitation statistics from NWS COOP, CoCoRaHS, and CoAgMet stations. 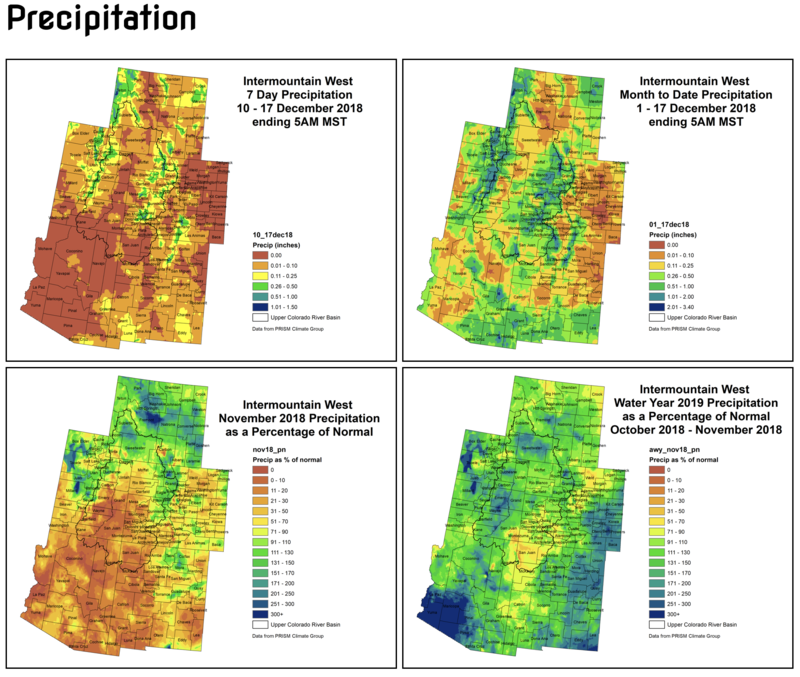 From top to bottom, and left to right: most recent 7-days of accumulated precipitation in inches; current month-to-date accumulated precipitation in inches; last month’s precipitation as a percent of average; water-year-to-date precipitation as a percent of average. Maps via the Colorado Climate Center.